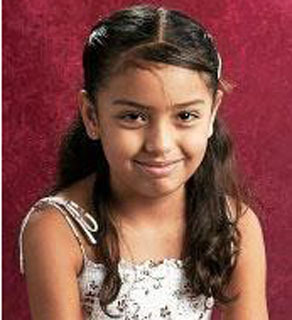 (CNN) - Brisenia Flores arrived in her rural Arivaca, AZ home with her parents, Raul Flores and Gina Gonzales, the evening of May 29th, 2009. The family had spent the day shopping for Brisenia’s new shoes about 60 miles northeast in Tucson. The 9-year-old girl had just finished the 3rd grade and needed the shoes for summer camp that was about to start. Gina Gonzales described the scene to jurors in an Arizona courthouse this week in the capital murder trial of Shawna Forde, the accused ringleader of the fatal raid in the early hours of May 30th. Shawna Forde, the accused ringleader of the fatal raid. Gonzales testified that four people knocked on the door claiming to be law enforcement and border patrol. They said the house was surrounded as they had information that the family was harboring fugitives. Gonzales said her husband, Raul Flores, opened the door and allowed them inside. She said they knew immediately the people entering were not law enforcement at all. She described a short, heavy-set woman, a “super tall” white male and two other Spanish-speaking men as the people in her home. Gonzales says that after a short struggle, the tall man shot her husband several times in the stomach and chest before turning the gun on her. She was shot in the leg and fell to the floor when she heard her husband choking on his own blood. She says he could hear the gunman reassure Brisenia, who had woken up by the blasts of the weapon, that she wouldn’t be hurt. "She was really scared. Her voice was shaking,” Gonzales cried as she testified in the witness stand. “I know she's crying and really scared." Gonzales says her daughter began to question why her mother and father were shot when the gunman reloaded his weapon. "I can hear her say 'Please don't shoot me,’” said Gonzales, wiping away tears and sobbing. The gunman paid no attention to her pleas and fired two shots into Brisenia’s head, causing the girl to fly back on the couch, Gonzales recounted. She said she could hear her daughter struggling to breathe as the intruders began to steal items and leave the home. Gonzalez made her way to a weapon her husband kept in the kitchen and called 9-1-1. The emergency call recorded the moment that the intruders re-entered the home, realizing that Gonzales was still alive. A series of gunshots can be heard as Gonzales fired the weapon in self-defense. One of the intruders was shot before they all left the home. Raul Flores and his young daughter, who just minutes before was sleeping peacefully on the couch in her own home, were both dead. Prosecutors say Shawna Forde, a vigilante anti-illegal immigration activist, was not only the woman described in the home, but was also the ringleader of the home invasion and murder. Forde was once a member of the Minuteman Civil Defense Corps before being removed from the group for what members describe to CNN as unstable behavior. 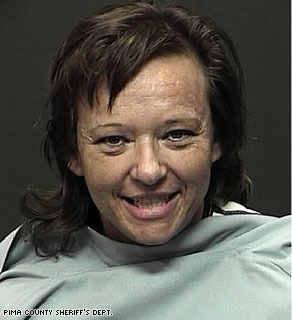 She formed a splinter group, Minutemen American Defense, and patrolled the Arizona-Mexico border armed with weapons. She led protests about the dangers and criminal activity along the porous border. Prosecutors say Forde planned the raid and murders in an elaborate plan to steal drugs weapons and money to help fund her new anti-illegal immigration group. They allege her accomplices were Jason Bush and Albert Gaxiola. Bush, who is alleged to have been the gunman, was the National Director of Operations for the Minutemen American Defense. It’s alleged that Gaxiola was brought into the plan to raid the home by Forde for his inside knowledge that Raul Flores had drugs in the home. Flores had a history of drug-related offenses, but no drugs were found in the home. During opening statements, the state laid out the case against Forde, who has pleaded not guilty. Prosecutors allege that jewelry taken from the home was found in Forde’s possession, blood from the scene and a van used in the robbery came from Jason Bush and that text messages sent from a phone registered to Forde implicate her in the crime. All three are charged with first degree murder. If convicted, Forde will face the death penalty. Bush's trial is scheduled for March while Gaxiola is set to go on trial in June. Thank you for finally discussing this! This story needs to be heard. Please cover this on your show and give this the coverage it deserves. Please make the murder of this little girl and her father a focus of your show. Not covering this story would be unconscieable. The thought that there are so many people harboring this kind of racism, hatred, and intolerance inside them makes me so sad. AC, please cover this story on your show. This was such a sad story...Keep up with the updates! Thx Ish for bringing this to light. Shocking and appalling. The fact that there are people in this word with so much hate for others, especially a little girl, are beyond my comprehension. The worst story I have read in so long. Death just seems to simple for those animals. I concur, we need you Anderson Cooper. So far even the Spanish media has ignored this story, and this is a direct result of the poisonous atmosphere in politics. Please cover this story on your show! We still have a predjuice strong hold in this country and we need to deal with it. Regardless of where you stand on the immigration debate no child deserves to die like this!